Isuzu Motors India has launched an automatic version of the MU-7 SUV in India. 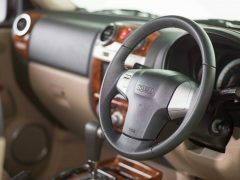 Along with the launch of the new variant Isuzu has also made minor changes to the interiors of the big SUV in a bid to increase its appeal. The Isuzu MU-7 was launched way back in December 2013 and since then has been slowly picking up momentum against tough competition from the likes of the Toyota Fortuner and Mitsubishi Pajero Sport. With the launch of the AT variant, the Isuzu MU 7 is now available in three trims. 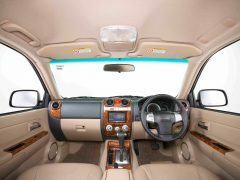 Read on to know more about the Isuzu MU 7 Automatic India price, pics, specs, features and details. 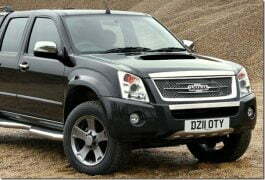 Powering the Isuzu MU-7 is a 3.0 litre diesel engine which 161 bhp of peak power and 333 Nm of peak torque. 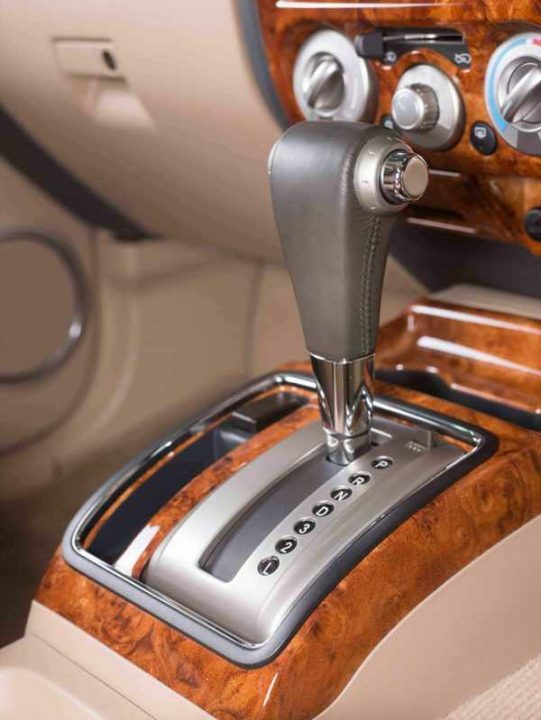 This engine is mated to a 5-speed automatic transmission. 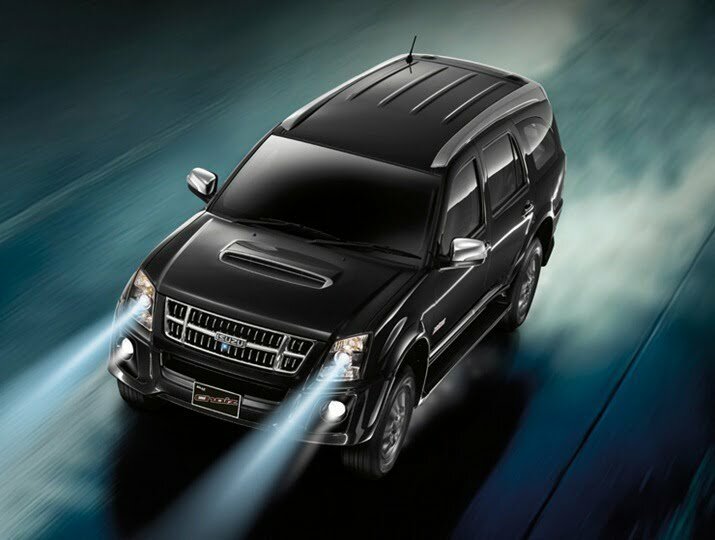 The MU-7 does not get a four wheel drive variant so power is supplied only to the rear wheels. The manual version returns an ARAI certified mileage of 12.08 kpl which means the mileage figures for the automatic variant could be slightly less than that. A two-tone dashboard finished in black and beige with wood inserts. New three-spoke steering wheel with audio controls. The touchscreen display also doubles up as the screen for the reverse parking camera. Commenting on the introduction of the model, Mr. Naohiro Yamaguchi, Managing Director, Isuzu Motors India, said, “We are happy to add the new MU-7 AT variant to our current product portfolio. The MU-7 is becoming popular with its combination of style and substance and has been receiving encouraging response from the customers, thanks to the sheer performance, space and comfort it offers. In line with ISUZU’s philosophy to constantly study the market and offer customers a great experience, we now add the new Automatic Transmission variant with more enhanced features on the interior. Many have approached us for an Automatic variant in the MU-7 and with this launch we are sure that a wider range of SUV enthusiasts will prefer the MU-7”. Stay tuned to CarBlogIndia for more on the Isuzu MU 7 Automatic India and other news from the automobile industry.